Here are two pictures of typical New Year celebration at Japanese houses in Osaka. This is at the gate of the huge house near my office. 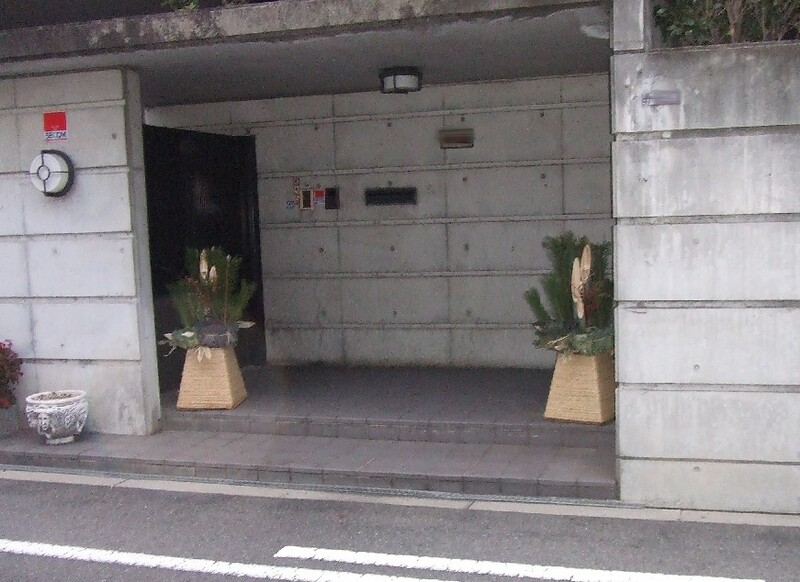 Some people put “Kadomatsu” , decoration of miniature pine and bamboo trees on both sides of the gate for good luck. 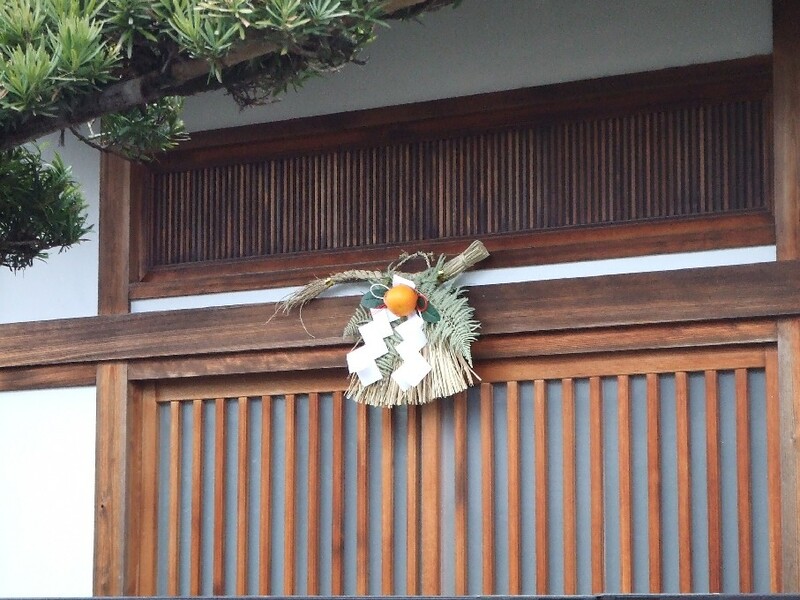 Many “Shimekazari”s, a decoration of sacred straw rope (according to a dictionary) with a kind of orange are seen at the doors of Japanese houses during New Year holidays. Shimekazari is also for bringing good luck. These are from Shinto religion, but generally, many people do these things as custom these days.